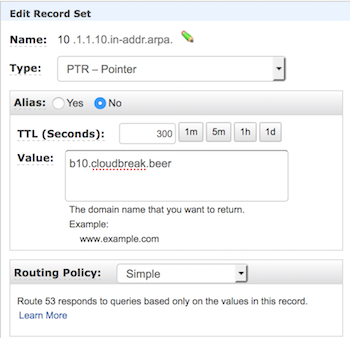 Follow these general steps to configure reverse DNS using Route53. Perform these steps from the Amazon Route53 console. For general steps, refer to AWS documentation. Select Hosted zones from the left pane. 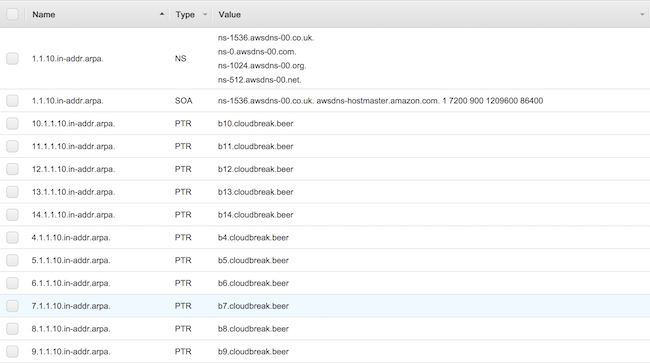 Use the same domain name as used previously with the DHCP options set (In the example this was cloudbreak.beer). 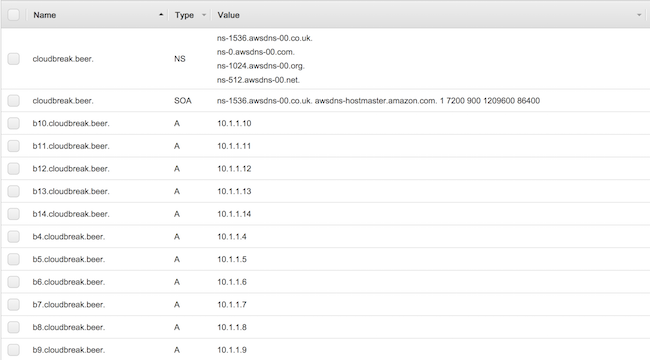 Set the Type to Private Hosted Zone for Amazon VPC. 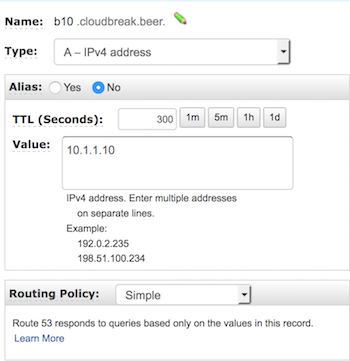 Select the VPC ID of the VPC to which you previously assigned the DHCP option. Perform these steps from the Amazon Route53 console. 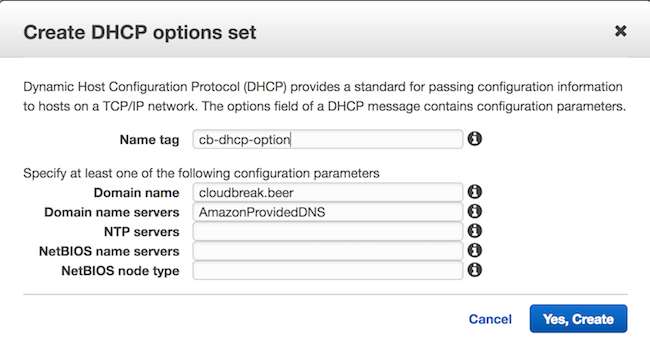 Select the VPC ID to which you previously assigned the DHCP option set. Step 6: Create the cluster in the VPC configured in the earlier steps and you will have the same hostnames set as the domain names.